Your children’s teeth are important to us at the Harbourside Dental Clinic. We aim to provide a caring and preventative approach for your children’s dental health. We encourage regular dental visits for your children from when your children’s baby teeth have started to first erupt, in an effort to develop a good rapport between the dentist and your children so that the development of a healthy and attractive permanent dentition is obtained. At age six, we suggest the application of fissure sealants to your child’s back teeth to reduce the risk of tooth decay. Remember your presence with your child is essential and at no time will your child be treated without your consent. Infants should be seen by our dentists after and at least by the child’s first birthday. By this time, the baby’s first teeth, or primary teeth, are beginning to erupt and it is a critical time to spot any problems before they become big concerns. One of the best ways to avoid baby bottle tooth decay is to not allow your baby to nurse on a bottle while going to sleep. Avoid dipping soothers into sweet substances such as honey, because this only encourages early decay in the baby’s mouth. Encouraging your young child to drink from a cup as early as possible will also help stave off the problems associated with baby bottle tooth decay. For babies under the age of 4, teething rings and soothers can be safely used to facilitate the child’s oral needs for relieving gum pain and for suckling. After the age of 4, soothers are generally discouraged because they may interfere with the development of your child’s teeth. Fluoride is generally present in most public drinking water systems. If you are unsure about your community’s water and its fluoride content, or learn that it has an unacceptable level of fluoride in it, there are fluoride supplements your dentist can prescribe although in Ireland this is usually unnecessary. Your child may not be getting enough fluoride just by using fluoride toothpaste. You can safely relieve a small child’s toothache with the aid of bonjella. Mouth guards are generally small plastic appliances that safely fit around your child’s teeth. Many mouth guards are soft and pliable when opened, and mould to the child’s teeth when first inserted. 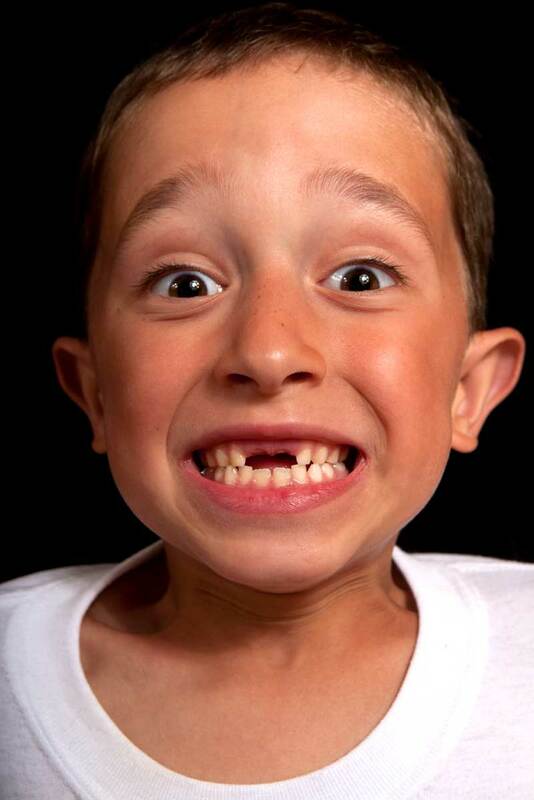 If the tooth has been knocked out, try to place the tooth back in its socket while waiting to see our office. Remember to hold the dislocated tooth by the crown-not the root. If you cannot relocate the tooth, place it in a container of cold milk, saline or the child’s own saliva. Place the tooth in the solution. If a child’s primary tooth has been loosened by an injury or an emerging permanent tooth, try getting the child to gently bite down on an apple, in some cases, the tooth will easily separate from the gum.